Another feature of this entrance test is that the candidates with Diploma in Engineering/ Technology/ Pharmacy & Hotel Management are eligible for admission into regular courses under Lateral Entry Scheme through SAAT-2019. Passed or appearing (in the year 2018) three year Diploma Exam in Engineering with at least 45% marks in aggregate (40% in case of candidates belonging to reserved category) from State Council of Technical Education and Vocational Training (SCTE&VT), Odisha or equivalent. Pass or appearing (2019) the 10+2 or equivalent in any stream having Mathematics. M.Tech in Electrical Engineering (Specialization: Power Systems & Power Electronics): Pass or appearing (2019) in B.Tech. or equivalent in the relevant field. Obtained at least 50% marks (45% in case of candidate belonging to reserved category) at the qualifying Exam. Pass or appearing (in the year 2019) at three year Bachelor Degree in any discipline from any recognized University with at least 50% of marks (45% in case of candidates belonging to SC / ST / OBC Category) having Mathematics at 10+2 level or at +3 level. Candidates having Business mathematics at +2 or +3 level are not eligible. Pass or appearing (in the year 2019) in three year Bachelor of Computer Application (BCA), B.Sc. in Information Technology (H) and B.Sc. in Computer Science (H) or equivalent with Mathematics as a subject at 10+2 level or at Graduation Level, with at least 50% of marks in aggregate (45% in case of candidate belonging to reserved category) at the qualifying Exam from any recognized University. Candidates shall have passed 10+2 Exam conducted respective states/Central Govt. Authorities recognized as equivalent to 10+2 Exam by the Association of Indian Universities (AIU) with English as one the subject and Physics, Chemistry, Mathematics (P.C.M) and /or Biology (P.C.B / P.C.M.B) as optional subjects individually ; and obtained at least 45% marks (40% marks in case of candidate belonging to reserved category) in the subjects ‘Physics, Chemistry, Mathematics or Biology taken together’. Pass or appearing (2019) B.Pharm Degree Exam from an Indian University established by law in India from an institution approved by Pharmacy Council of India and has scored less than 55% of the maximum marks (aggregate of 4 years of B.Pharm) (50% for the reserved category candidates). Students appearing the final B. Pharm degree Exam may also apply. The candidate having valid GPAT Score can apply and shall get preference in selection. Pass or appearing (2019) at Bachelor degree in Science / Agriculture / Pharmacy / Veterinary / Engineering & Technology / Medicine (MBBS/BDS) / Physics / Chemistry / Mathematics or equivalent from any recognized University with at least 50% marks (45% in case of candidates belonging to SC / ST / OBC category). Pass or appearing (2019) B.Sc. with Chemistry (Honours) / B.Tech in Chemical Engineering / B.Pharm / M.Pharm with at least 50% marks (45% in case of candidates belonging to SC / ST / OBC category). Age Limit: The lower age limit is 17 years as on 31.12.2019. Pass or appearing (2019) B.Sc. (Agriculture) / B.Sc. (Horticulture) from any recognized University by State and Central Govt. Marks in qualifying Exam. Candidate should have OGPA 6.5 and GPA 7.0 in concerned discipline on 10 point scale. The requirement of minimum percentage of marks (OGPA/GPA) as indicated above shall not be applicable to the candidate sponsored by State Govt./ Central Govt./ Nominee of ICAR. Pass or appearing (2019) the 10+2 or equivalent in any stream. Pass or appearing (2019) minimum three years of Bachelor Degree in Science, Commerce and Arts / B.E. / B.Tech. / MBBS / B.Pharm. / B.Sc. Agri. / BVSC / BHMS / BAMS / BDS / BPT / BHMCT / BBA / BCA Exam or equivalent, from any recognized University with at-least 50% marks (45% in case of candidates belonging to SC/ST/OBC category). Pass or appearing (2019) the 10+2 or equivalent in any stream with at least 45% marks. Relaxable to 40% in case of SC/ST and 42% in case OBC. There is no upper age limit at present, however it is subjected to the decision of the Hon’ble Supreme Court of India and BCI notification in this regard. CLAT / LSAT qualified candidates are exempted from the entrance test, but they have to fill up the form. Pass or appearing 2019 Bachelor degree in Law or studied Integrated Law courses or equivalent thereof, from any recognized university. CLAT / LSAT qualified candidates are exempted from the entrance test, but they have to fill up the form. 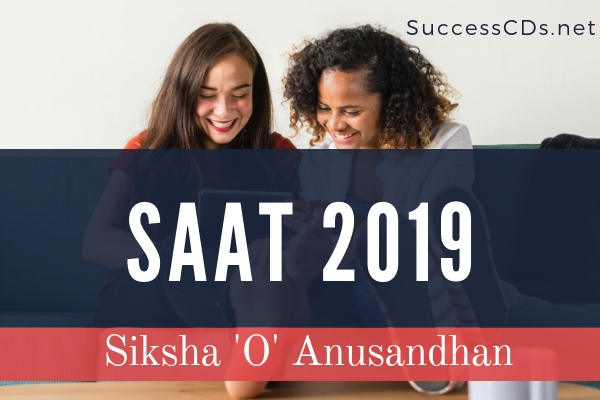 Pass or appearing at 10+2 Exam (2019) with at least 45% marks in aggregate (Physics, Chemistry & Biology taken together) and 40% marks in aggregate for SC / ST / OBC candidates and must have passed in English. Passed GNM Exam, and registered with concerned State Nursing Council. Pass B.Sc. Nursing (Basic/Post Basic) Degree with 55% aggregate from an Institution recognized by Indian Nursing Council with a minimum of one year experience either in teaching or clinical area after registration in respective State Nursing Council as a Registered Nurse and Registered Midwife. The Hall Ticket will be issued only to those eligible candidates who have submitted their online application forms complete in all respects, on or before the last date as specified. The Hall Ticket will contain name, photograph, programme, subject, address of the candidate, address of the Test Centre allotted and test schedule. Hall ticket can be downloaded from 05th April 2019 onward through candidates login / dashboard. Application process: Incomplete application will not be accepted. Please follow the below mentioned process below to complete your application process. Download and print your Application form for future reference. The submitted application can be accessed through login account. The acknowledgement for successful submission of application form of the SAAT 2019 will be intimated to your Email Id and Mobile no.